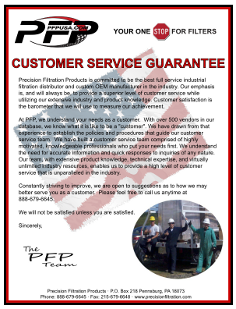 Looking for a filter rental? 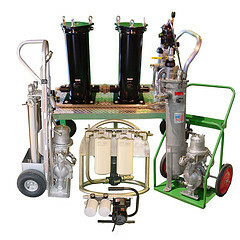 We rent and sell many different types of rental filtration equipment, including filter bag housings and filter cartridge housings for liquid applications, as well as various portable filter carts for use with transfer and replenishment operations. We also keep a rather large inventory of filter vessels and vacuum dehydrators in our rental fleet, ready to serve your diverse needs. Below is just a partial list of the filtration equipment rentals that we have available, both in stainless steel and carbon steel. We also carry a large inventory of replacement filter bags and filter cartridges in a wide variety of micron ratings to meet your requirements. 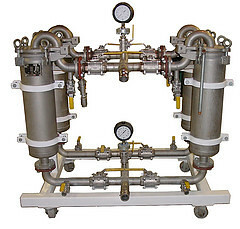 Our filter rentals are typically available in a flow rate range anywhere from 5 GPM to 1,800 GPM. I am interested in a rental, before I purchase this unit. 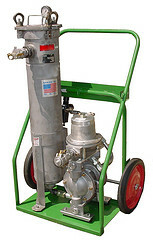 5GPM flow rate on the SPC Spin-On Filter Cart. Let me know what your policy is. 2. Volume: How many gallons of fluid will you be filtering? This will help us in determining the size of the pump that will fit your application. 3. Contaminants: What contaminants do you wish to remove? Do you have a target cleanliness level that you’d like to reach or a target ISO 4406 code? 5. Connections: How would you connect the unit do your system? Would you require hoses? Do you prefer any specific type of connection or connector? If so, what connection type, diameter, and length would you like? Our standard hoses measure 3 meters (10 feet). Would you require suction wands to pull the fluid from a reservoir? After we know this information we would be happy to provide you with a quotation for the SFC spin-on filter cart, or the most appropriate solution depending on your particular situation.